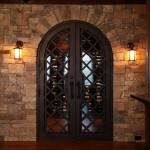 Ellijay, GA – Our client was building a beautiful home on top of a mountain in Ellijay utilizing reclaimed wood. 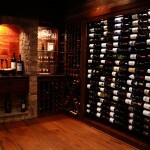 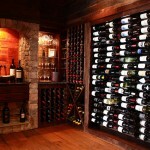 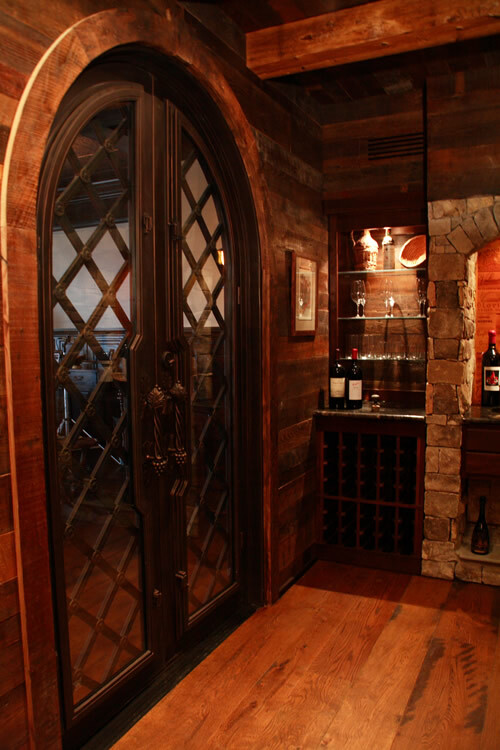 CellarMaker was contacted about designing a world class cellar with wood that was almost 90 years old! 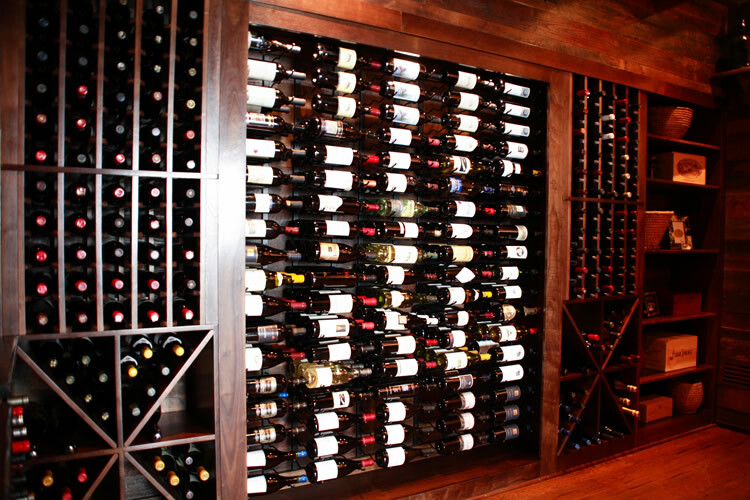 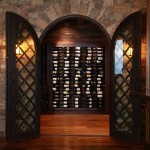 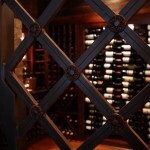 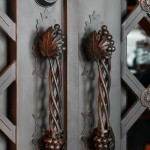 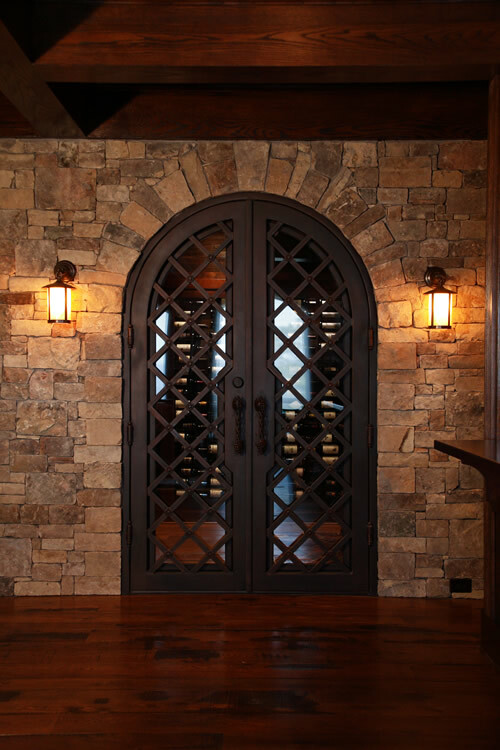 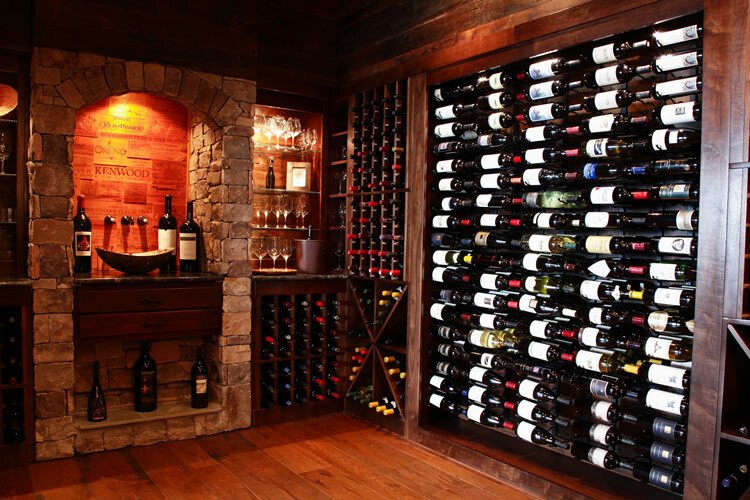 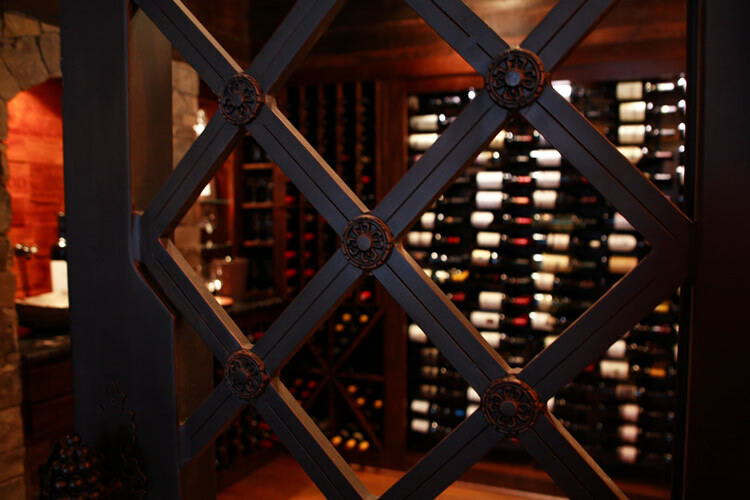 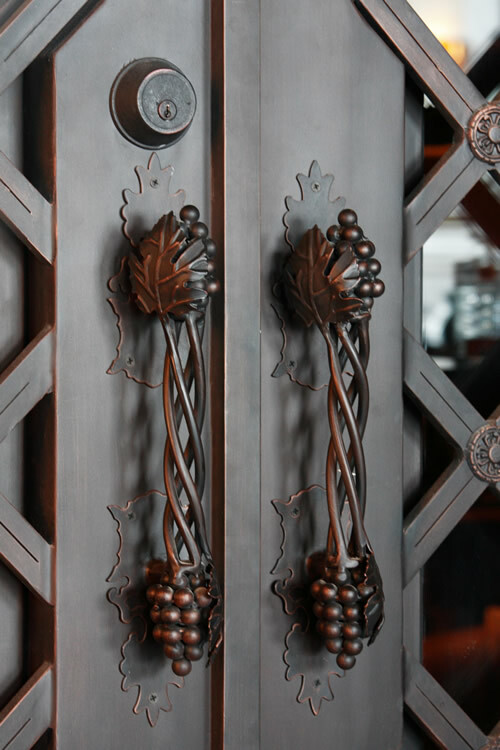 As you approach this cellar you are presented with stone walls surrounding two iron doors. 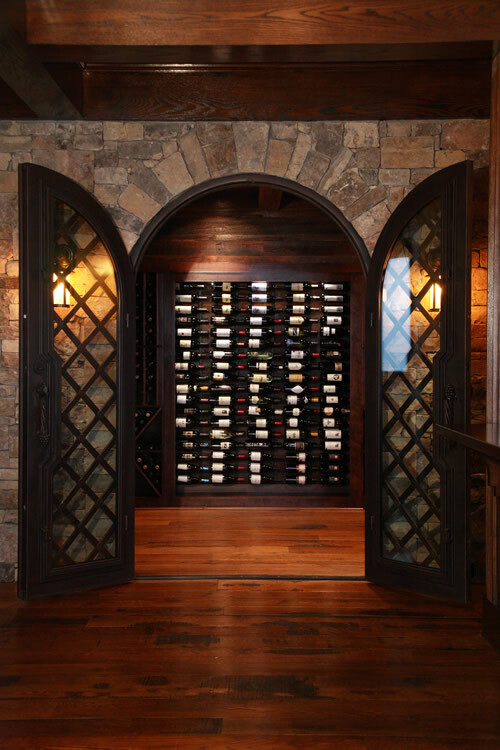 The walls of the cellar are lined with wormy chestnut that was lightly sanded and sealed to preserve its natural appearance. 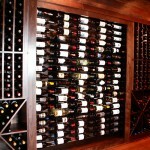 The wine racks are black walnut with a dark stain and clear coating. 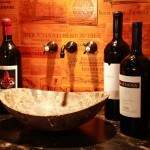 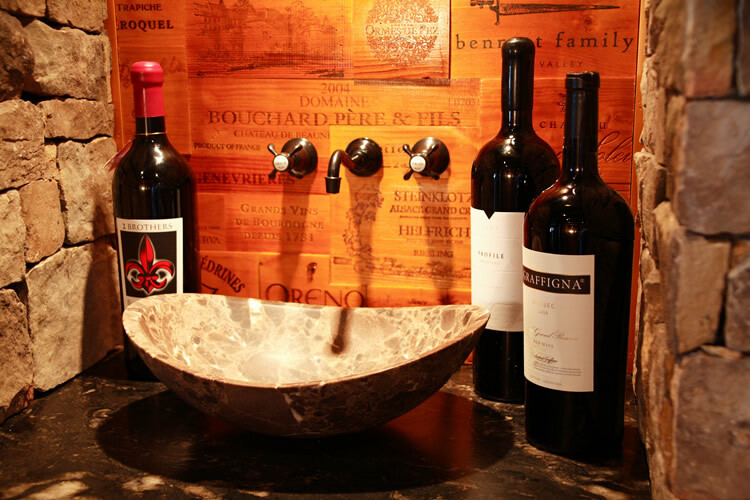 A stone arch was designed to surround the sink with a collage of wine cases on the wall. 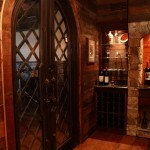 Mushroom boards were used for the ceiling beams. 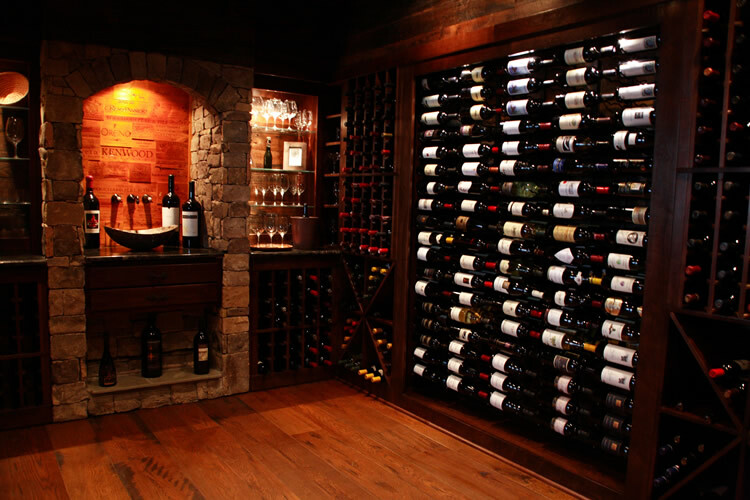 This is an extremely rare cellar where most of the wood is older than the wine!